The Washington Times has published an article by Elin Suleymanov, Azerbaijan’s ambassador to the United States. 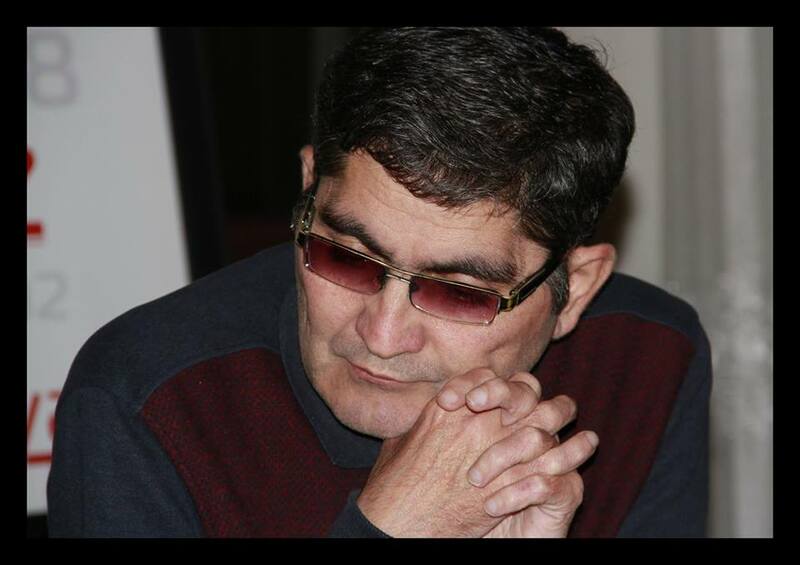 In his article, headlined ‘My father’s mountains’, ambassador Suleymanov highlights the occupation by the Armenian armed forces of the Azerbaijani region of Kalbajar. “Even as the Minsk Group-mediated negotiations between Armenia and Azerbaijan continue, no real progress has been made the talks lasting for a quarter of a century. 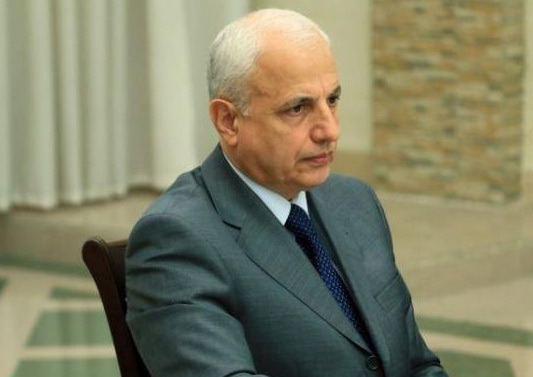 Perhaps because of this lack of any real progress, some tend to describe the occupied Azerbaijani lands and a generation-long displacement of the Azerbaijani civilians in abstract terms,” the ambassador says. “When speaking of potential compromises, it is important to recognize each side’s right for life and dignity. 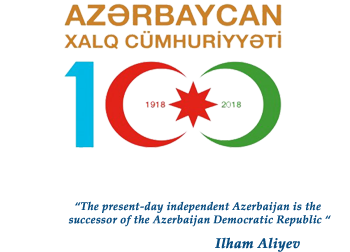 Azerbaijan acknowledges that all of its citizens, including those of Armenian descent residing on the occupied territories, are entitled to equal rights regardless of religious and ethnic affiliation. On the other hand, after two decades of implementing its aggressive policy of expansionism, Armenia is yet to demonstrate that it has a vision beyond narrow and simplistic lines of ethnicity. On this subject, Armenian actions, unfortunately, speak much louder than words,” the ambassador says. “Naturally, this stalemate continues to breed popular frustration in Azerbaijan. The nation’s political leadership is well aware of this. So should be the Armenian leaders and international mediators. 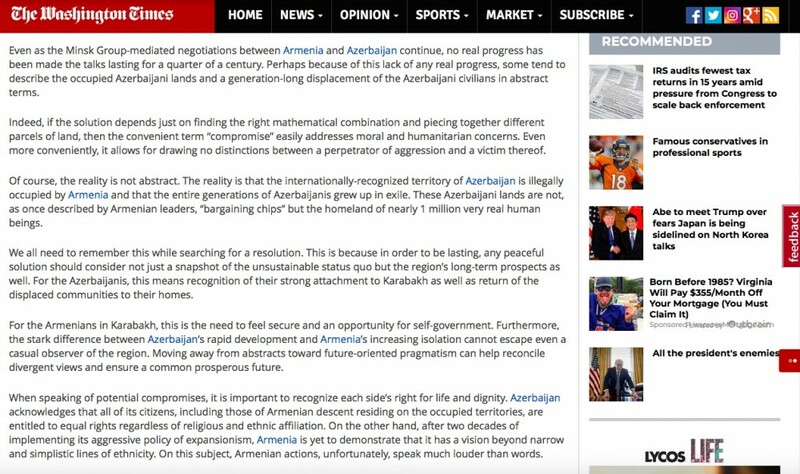 Both because, unless some progress is achieved, such sentiments will only deepen and because Armenia’s own progress depends on how soon the conflict is resolved. “In 2003, writing on the 10th anniversary of adopting the first U.N. Security Council resolution on the Armenia-Azerbaijan conflict, this author compared the occupied region of Kalbajar to the Grand Canyon. Little did I know that 15 years later, I’d be posted very close to America’s most stunning canyons and that no real progress would be made toward ending Kalbajar’s destructive occupation,” he says. 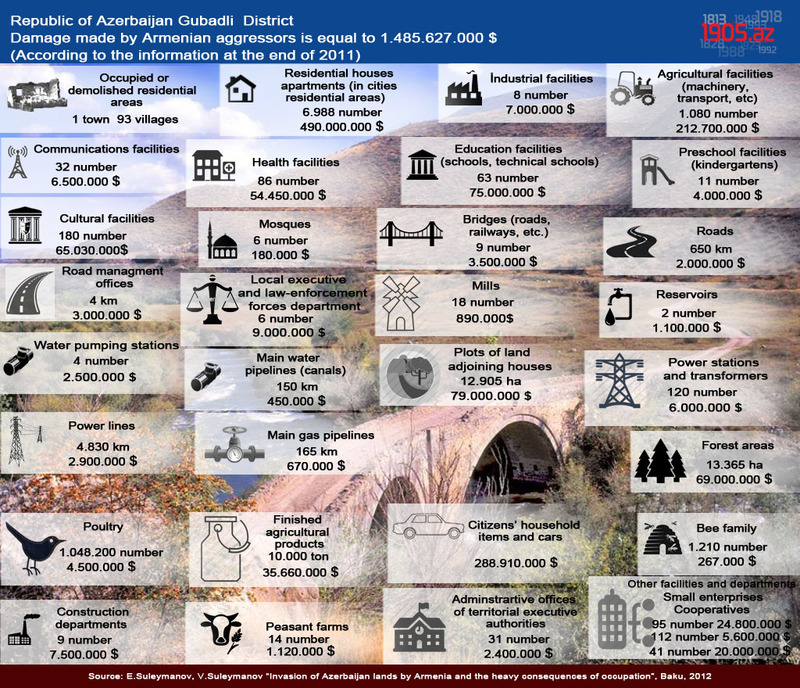 “Many Armenians rightly call Karabakh home as well; yet, territories under Armenian occupation are today mostly empty because the numerous Azerbaijani natives have been ethnically cleansed. They cannot be kept away forever. Both communities should learn how to live side-by-side again and, for Armenians, the first important step is to realize that the very real people they violently chased from their lands are not abstract statistical numbers,” ambassador Suleymanov concludes.